NPD, the video game industry analysis and sales-tracking group, has posted the results of February retail and download sales in the U.S. for February 2019. 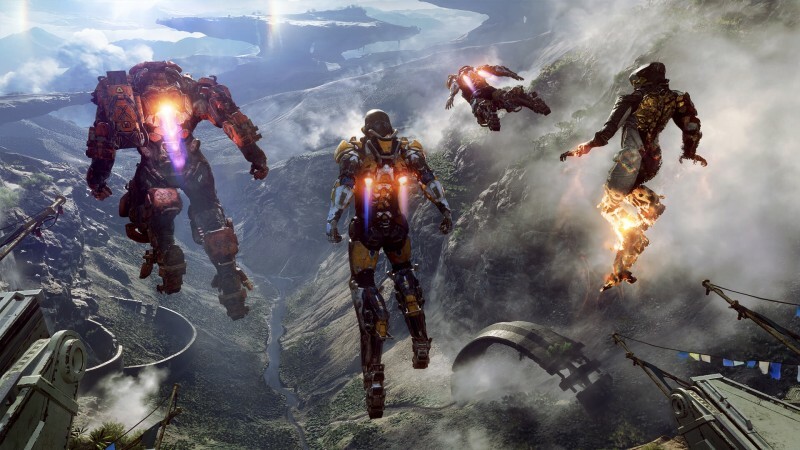 Despite a rocky launch in the eyes of many, BioWare’s Anthem led the pack, posting the second-strongest sales month for any BioWare-developed game, trailing only Mass Effect 3 in its release month of March 2012. Shōnen Jump crossover fighting game Jump Force also had an exceptionally strong debut month, giving publisher Bandai Namco Games its third-highest total ever. Square Enix and Disney crossover adventure Kingdom Hearts III posted its second straight month with high-ranking sales after leading the pack in January, solidifying it as the highest-selling game of 2019 to date. You can see the full top 20 for February 2019 below. It’s important to note that for Super Smash Bros. Ultimate, New Super Mario Bros. U Deluxe, Mario Kart 8, The Legend of Zelda: Breath of the Wild, and Super Mario Party, digital sales are not included. For Anthem, Metro Exodus, Call of Duty: Black Ops 4, and Madden NFL 19, PC digital sales are not included. For Minecraft, only digital sales on PS4 and Xbox One are included. Spending across all gaming hardware, software, accessories, and game cards reached a massive $1 billion, which is a 4 percent increase compared to February of last year. According to the NPD, gains in software, accessories, and game card spending offset the declines seen in the hardware space. Sales of games tracked by NPD across console, handheld, and PC grew by 15 percent over last February, reaching $457 million. Year-to-date sales reached $896 million, which is 10 percent higher when compared to this time last year. While hardware spending declined by 12 percent overall when compared to February 2018, Nintendo soared to its highest hardware dollar sales since February 2011. Switch was the best-selling hardware platform of the month, as well as year-to-date 2019. Metro Exodus beat the month-one sales of Metro Last Light by a whopping 50 percent to set a new first-month record for the Metro series. For our takeaways from NPD’s January 2019 report, head here.